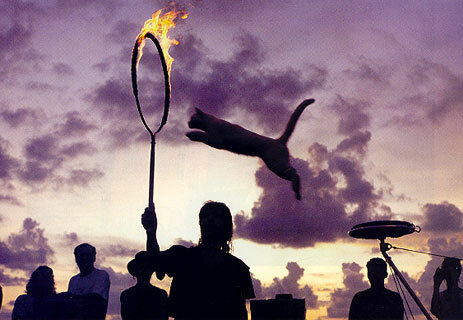 "The Sunset Celebration includes cats leaping through rings of fire." CATCH THE SUNSET Watching the sun go down is an evening ritual in Key West, where for most of the year cruise ships are required by law to depart the harbor one hour prior to sunset so as not to obstruct the view. 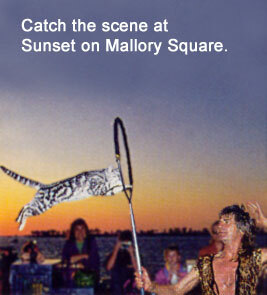 The most popular place to see it is Mallory Square, where you can also watch such attractions as clowns on stilts, vendors, fire-eaters and jugglers.